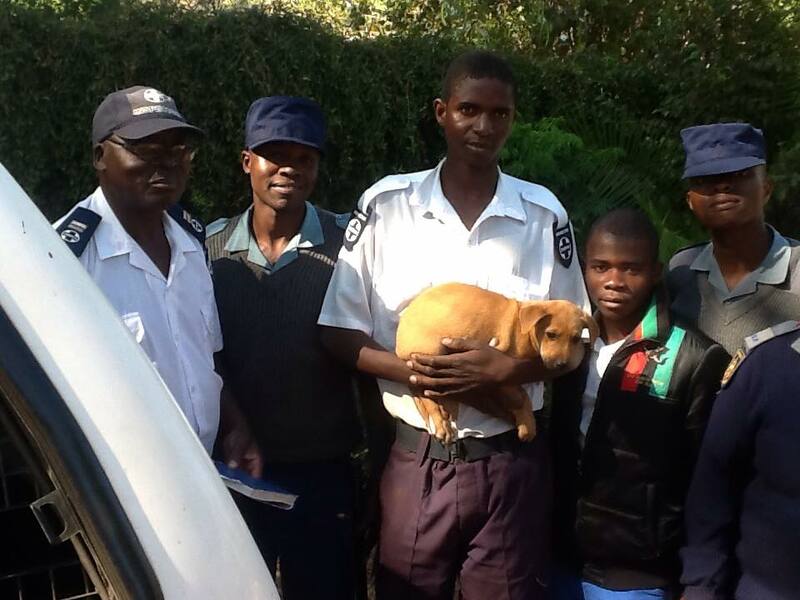 Today our Inspectors rescued three dogs and two puppies from residents in the Highlands Harare area who were beating, kicking and tying up their dogs. 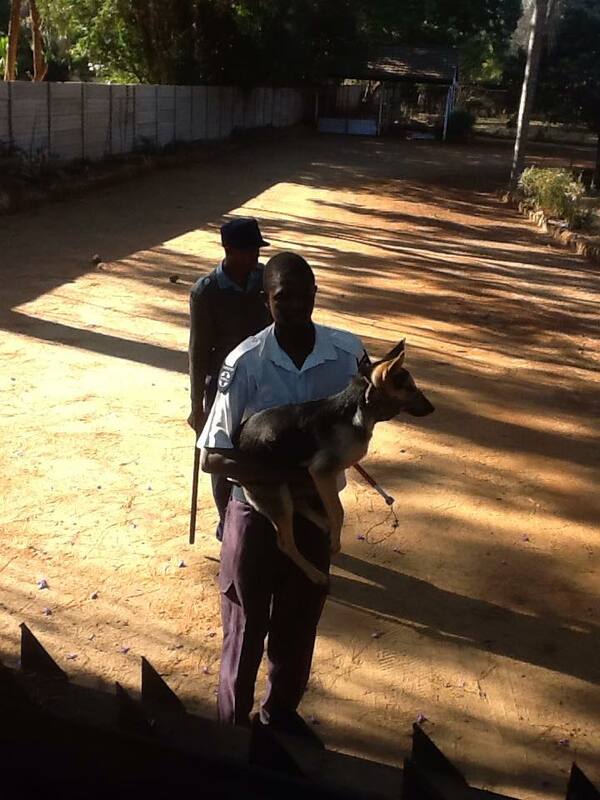 We were alerted about this case by a brave member of public who took video footage of the cruelty acts. 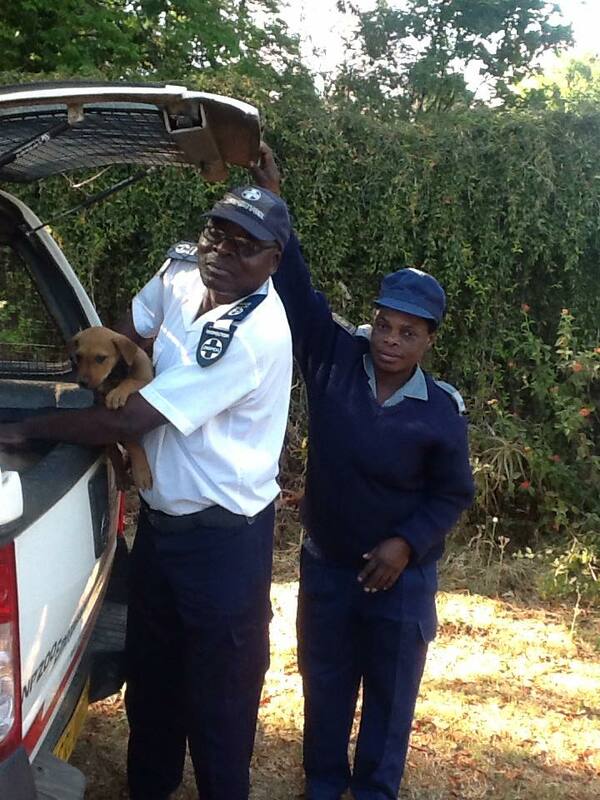 After being denied access to the animals by the owners, we were assisted by the Zimbabwe Republic Police Highlands and climbed into the property and lifted all five animals over the gate to safety. The owners are being charged for obstruction of an Inspector and Animal Cruelty.